LONDON (AP) — British Prime Minister Theresa May unveiled her Brexit Plan B on Monday — and it looks a lot like Plan A. 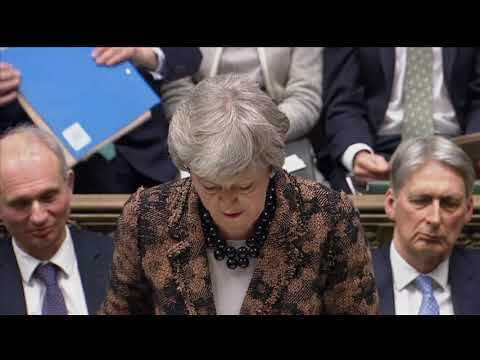 May told the House of Commons that she would be “talking further this week to colleagues ... to consider how we might meet our obligations to the people of Northern Ireland and Ireland in a way that can command the greatest possible support in the House. “She is wasting time calling for a revision or clarification over the backstop,” said German politician Udo Bullmann, head of the socialist group in the European Parliament. Raf Casert reported from Brussels. Lorne Cook in Brussels and Monika Scislowska in Warsaw, Poland, contributed to this story.